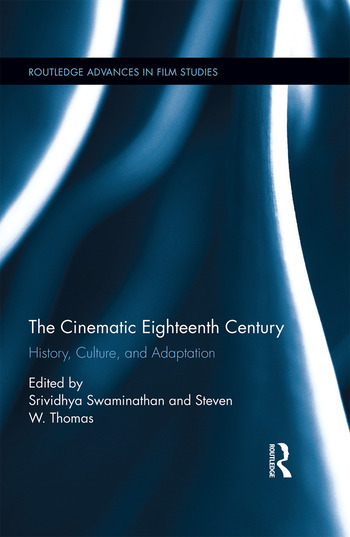 This collection explores how film and television depict the complex and diverse milieu of the eighteenth century as a literary, historical, and cultural space. Topics range from adaptations of Austen’s Sense and Sensibility and Defoe's Robinson Crusoe (The Martian) to historical fiction on the subjects of slavery (Belle), piracy (Crossbones and　Black Sails), monarchy (The Madness of King George and The Libertine), print culture (Blackadder and National Treasure), and the role of women (Marie Antoinette, The Duchess, and Outlander). This interdisciplinary collection draws from film theory and literary theory to discuss how film and television allows for critical re-visioning as well as revising of the cultural concepts in literary and extra-literary writing about the historical period. Srividhya Swaminathan is Professor of English at LIU Brooklyn, USA. Her primary field of research is the rhetoric of eighteenth-century slavery studies and social movements. Her monograph, Debating the Slave Trade (Ashgate 2009), and co-edited collection, Invoking Slavery in the Eighteenth-Century British Imagination (Ashgate 2013), engage with slavery in a transatlantic context. Steven W. Thomas is Associate Professor of English at Wagner College, USA, where he teaches American literature, theory, and film studies. He has published several scholarly essays about the transatlantic eighteenth century and in 2016, he was a Fulbright Scholar in the graduate film program at Addis Ababa University in Ethiopia.